Born in England, Louise Stout, 50, moved to the United States in 1993 and officially became a US citizen in 2006. After relocating to Crescent City from South Florida in 2010, Louise semi-retired from her career in the restaurant business. Her job as a hostess meant long shifts on her feet, which may have contributed to the back pain she battled for years. “There was no incident or injury I remember that initiated my back problems,” Louise elaborates. “The pain just came on gradually. Back in 2011, I went to my doctor, who sent me for an MRI of my back. The doctor discovered I had scoliosis and arthritis in my spine. The discomfort in Louise’s back continued to get worse over time, but the pain down her left leg became agonizing. Her combined back and leg pain eventually started interfering with her everyday tasks. “The pain was excruciating when the sciatica switched to my left side,” Louise discloses. “When I got out of bed and put my feet on the floor, it really hurt. Sleeping was difficult because the pain made me very uncomfortable. It hurt to walk because the pain shot right through my leg. Louise continued to see her physician. She also tried chiropractic treatments and physical therapy, but nothing worked for her. In 2017, she visited an orthopedic surgeon who made a suggestion Louise wasn’t ready for. Kai McGreevy, MD, is a board-certified neurologist and pain management specialist at McGreevy NeuroHealth, which has offices in Palm Coast and St. Augustine. Dr. McGreevy uses a wide range of advanced therapies to treat pain and many other conditions associated with nerve disorders. “Louise came to us as a referral from a local orthopedic surgeon who was treating her spinal arthritis and scoliosis,” Dr. McGreevy notes. “She presented with low back pain that radiated into her lower extremities. In some cases, Dr. McGreevy prescribes narcotic pain medication to help his patients manage their pain. He emphasizes that pain medication is only one tool in his chest of treatments, and he uses the drugs with caution. “We always do what’s in the best interest of the patient’s health as a whole,” Dr. McGreevy stresses. “Opioids have a place in the treatment of different pain conditions, but there’s always a double-edged sword with those types of treatments, so we provide alternatives. Reducing the risk while still providing pain relief is our ultimate goal. “Even though the dose I was on was minimal, I didn’t want pain medication to become a normal part of my life,” Louise confides. “It was a personal thing. I didn’t want to become addicted. I didn’t want to take pain pills for the rest of my life. 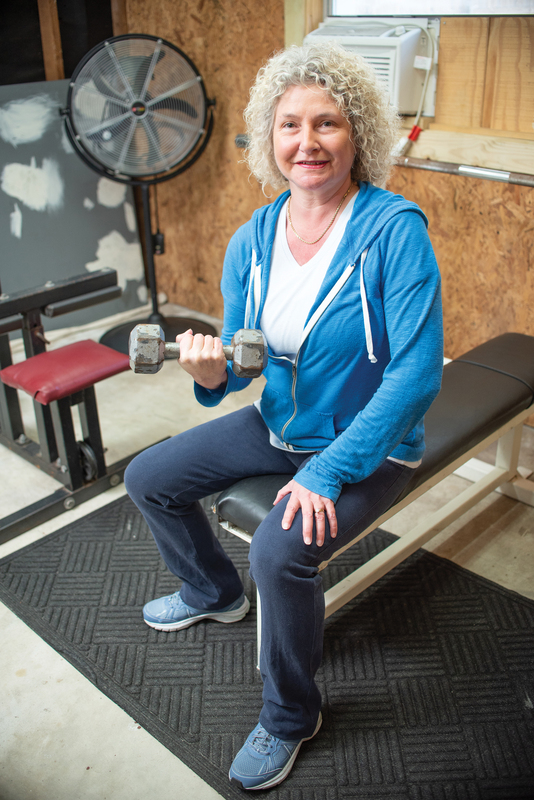 After receiving limited results from the nerve blocks he also tried in treating Louise’s back pain, Dr. McGreevy switched gears and treated her arthritis specifically with radiofrequency ablation, or RFA, which uses heat to deaden the nerves responsible for pain. “That seemed to be the game changer for her,” the doctor reports. injections, facet joint injections and nerve blocks. In many cases, RFA is the best fit to improve patients’ pain control, range of motion and quality of life. RFA is a minimally invasive, nonsurgical,outpatient procedure during which patients remain awake but are generally sedated to minimize discomfort and reduce anxiety. Doctors consider it highly effective in temporarily reducing the kind of severe back and neck pain that plagues nearly two-thirds of the world’s population. During RFA, radio waves are used to produce heat that is delivered through a probe to a group of specified spinal nerves. The heat creates a lesion, or wound, on the nerve tissue that interferes with the transmission of pain signals to the brain, thereby reducing discomfort in the troubled area. By targeting and damaging the specific nerves responsible for carrying pain signals, RFA can effectively reduce or eliminate a patient’s pain for a few months or even years. A local anesthetic is then administered to the skin and deeper tissues to provide comfort so that a needle can be inserted and directed toward the targeted nerves. When the needle is precisely positioned, a stylet is pulled out of the needle and replaced by a thin probe. When the nerve is cauterized, it can’t send pain signals, so nothing is received and interpreted by the brain. Subsequently, no return message to feel pain is sent back to the affected area of the body. “When I first went to see Dr. McGreevy, I had no idea this was an option for me, so when he suggested it, I said, Great. When can we start? Louise relates. 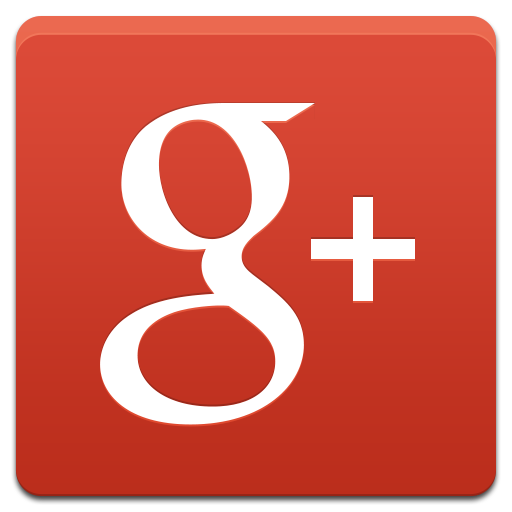 “And as it turns out, the radiofrequency ablation treatment was relatively easy. “It’s nonsurgical, and I was in and out. It made me jump a little bit, but it wasn’t painful. I’m not one who can be in a lot of pain, and I handled it with no problem. The best thing about it, of course, is that it worked. 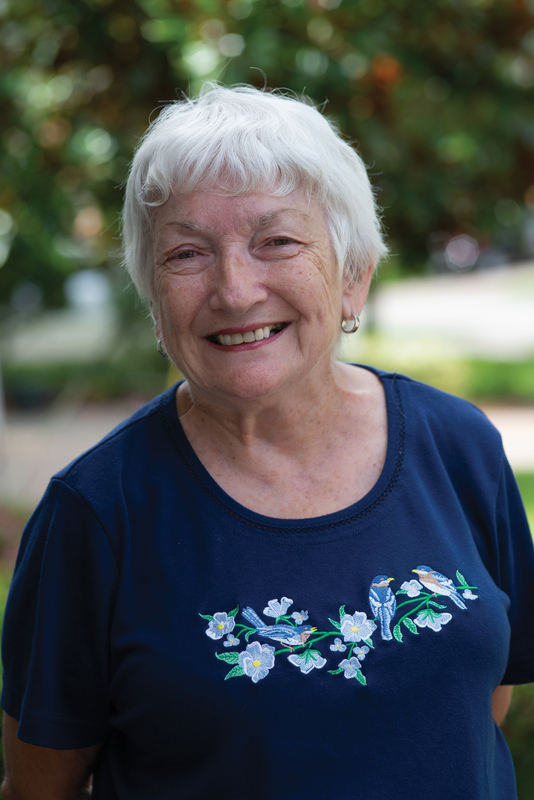 Noreen Acheson spent years as a registered nurse, and although she’s 77 and primarily retired, she continues to keep her nursing license active in her native Pennsylvania. She worked in long-term care most of her career, which means she often moved patients who were largely incapacitated. It really wasn’t a surprise to her doctor when she began having pain in her cervical spine. “About ten or eleven years ago, I started having some difficulty in my neck and shoulders,” she remembers. “I went to multiple doctors and was diagnosed with degenerative disc disease of the neck. “I had a lot of pain in my neck, and it really hurt every time I moved. I couldn’t turn my head. I couldn’t walk with my head up. I couldn’t lift up my arms without pain. I dance with a senior dance group, and it was getting more and more difficult to do the dances because of the neck pain. Sometimes, I couldn’t even sit without resting my head on something. Over the years, Noreen tried many treatments for her neck pain, but none brought her significant relief. She eventually became frustrated with the unsuccessful attempts to ease her pain. 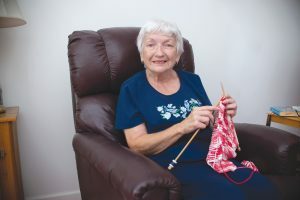 “Noreen had severe arthritis in the facet joints in her neck, which caused discomfort to the point her quality of life was impacted,” the doctor relates. “Her range of motion was limited so that it was difficult for her to engage in simple activities, such as driving. She couldn’t turn her head to look around when she drove. For Louise and Noreen, Dr. McGreevy’s expertise in neurology and pain management provided a fruitful solution to their back and neck pain in the form of radio-frequency ablation. Louise is pleased with the progression of her pain relief after RFA. Dr. McGreevy is especially happy because Louise also conquered her reliance on pain medication. “As I started feeling better, I began cutting back on the amount of pain medication I was taking,” Louise recounts. “Eventually, I got to the point where I knew I didn’t need to take the pills anymore. About two months after my radiofrequency ablation procedure, I was completely off of the pain medication. I achieved my goal. The RFA procedures were equally effective for the arthritis pain in Noreen’s neck. In targeting the cervical nerves, they provided her with significant relief, which enabled her to move her head to drive, dance and do other activities without difficulty. 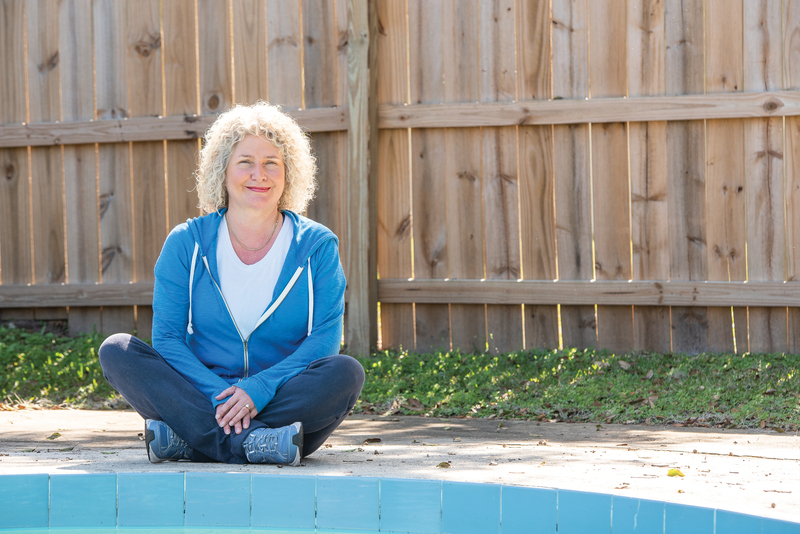 “I’ve been pain free since I had the radiofrequency ablation procedures,” she enthuses. “I can lift up my arms. I can walk with my head up. I can do things I didn’t think I’d ever do again as far as exercises and activities. I’m so pleased. Noreen rates the staff at McGreevy NeuroHealth as professional, friendly and helpful. She says they’re “great.” However, she saves her kindest words for Dr. McGreevy. Dr. McGreevy again if that happens. “Dr. McGreevy told me everyone is different; the pain can come back in some people, and in others, the relief can last a long time,” she states. “If my pain comes back, I’m going back to McGreevy NeuroHealth and getting another radiofrequency ablation treatment. If this one keeps me good for a year or two, I’ll be very happy. “The staff at McGreevy NeuroHealth is very nice, very friendly. Dr. McGreevy is absolutely great. He’s very personable. When I first met him, he wanted to know exactly what was going on with me, what sort of pain I was in and where it was located. At the time, I was in a lot of pain, but he understood what I was going through.